ModulesGarden Widget For WHMCS will make sure you are always up to speed with the hottest news, product updates, and promotional actions at ModulesGarden. The widget will let you know whenever there is a new version of your module available for download, providing a shortcut to the changelog to help you quickly dig into its details. With this subtle addition to your WHMCS dashboard, you will gain access to exclusive promo codes not obtainable anywhere else! Once activated, the widget will also display the most recent tweet so you will never miss any important announcement shared by ModulesGarden. 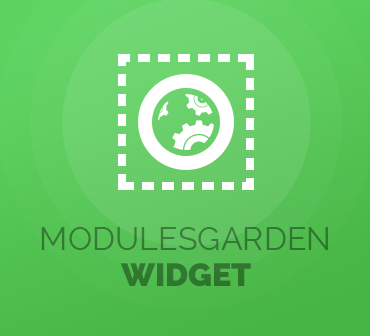 ModulesGarden Widget For WHMCS – keep abreast of all grand disclosures and retain full control over your favorite modules at all times!